Mass Effect 3 led the way among top-scoring EA games. "Electronic Arts" and "Metacritic" are two of those organizations you can just mention on a gaming forum and proceed to pop a bag of popcorn with the heat of the ensuing flame war. Get ready for some fireworks, then, because Metacritic has announced EA as the top-rated publisher of 2012. With an average metascore of 75.2, the breadth of EA's releases beat out Microsoft, Sony, Nintendo and other large publishers by a comfortable margin. Furthermore, Mass Effect 3 sits as EA's highest-ranked title from last year. Grab another log for the fire. 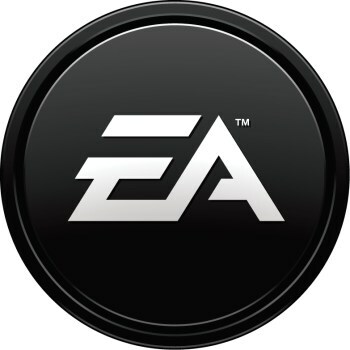 EA, which took the #4 spot in 2011, earned first place with an average metascore of 75.2 among 37 unique titles. Metacritic also reported that Mass Effect 3 took EA's top spot with an average score of 93, and that its best original title was Kingdoms of Amalur: Reckoning, which debuted at a respectable 81 (before all that other stuff went down). Other strong contenders included entries in the FIFA and Need for Speed series. Next down the line were Microsoft, with an average score of 73.0, and Sony, who weighed in at 72.3. Statisticians will be interested in Metacritic's methodology: The ratings aggregator gathered together "large" publishers, which had put out at least 15 ranked games during 2012 (not including iOS titles). The final value for each publisher was a sum of points, dictated by percentages of a company's "good" games (a score of 75 or above) and its "bad" games (a score of 49 or below), with bonus points for each of a company's "great" games (a score of 90 or above). In the final analysis, the reason that EA took top honors is largely due to its lack of "bad" games, with its lowest-scoring entry (Medal of Honor: Warfighter) presenting a mediocre-but-not-"bad" 53. All kidding about forum wars aside, there is some very interesting math going on here. Any arithmophiles out there should scroll down to the bottom of the page to see how Metacritic calculated its values. All others should report to the Comments section in an orderly fashion and keep your internet helmets securely fastened at all times.